Krrishan Singhania and Srishti Singhania comment on the impact of the recently notified Goods and Sales Tax on infrastructure. The Indian infrastructure sector consists of several segments such as roads, railways, ports, power, and mining. Each of these segments is governed by different indirect tax regimes, and thus, will be impacted differently by the Goods and Services Tax (“GST”). However, there is commonality in the nature of project contracts, under each of these segments. Infrastructure project contracts extend over years and on-going projects are likely to be impacted by the new tax reform. Moreover, a majority of construction contracts are works contracts, consisting of supply of both goods and services. While both these components were taxed separately under the previous regime, a uniform tax rate will apply under GST. The costs of construction materials would also change with the rollout of GST. Thus, the infrastructure sector would be posed with several challenges with the coming in of the new tax reform. However, the advent of GST is also expected to boost the infrastructure sector with the elimination of the cascading effect or ´tax on tax’ and the introduction of input tax credit. Under the previous tax regime, infrastructure projects were burdened with litigation on the issue of whether the contracts have to be treated as separate ‘supply of goods’ or ‘supply of service’ contracts, or could they be treated as a composite works contract involving supply of both goods and services. This was an important determination, as ‘supply of goods’ was subject to Value-added Tax (“VAT”), which was a state tax, while ‘supply of services’ was subject to service tax, which was a central tax. Moreover, composite works contract was subject to a combination of both VAT and service tax. Works contract is a composite contract for the supply of goods and services. Works contract is a composite contract for the supply of goods and services. Works contract is a composite contract for the supply of goods and services. With the implementation of GST these litigations will come to an end. The Central GST Act, 2017 (“GST Act”)1, specifically provides that ‘works contract (including any transfer of property in goods in the execution of such contract)’ as well as ‘construction of a complex or a building, civil structure or a part thereof’ shall be treated as supply of services. Even though this provision will provide clarity to a great extent, it may not be able to eliminate ambiguity completely. Contracts in the infrastructure sector can be quite complex, involving multiple parties and multiple scopes of works for either full project or for parts of a single project. Thus, determining the nature of these contractswould be difficult, and critical from the perspective of the place of supply, the taxable value, the applicable rate of tax and the compliances to be undertaken. Under the erstwhile regime, majority of construction contracts were in the nature of work contracts and were subjected to a combination of service tax and VAT. A service tax of around 4.5 per cent (assuming taxable component of the service contract is 30%)was applicable to construction contracts. However, there were several construction activities, such as construction of roads, dams, irrigation, that were exempted from service tax. Furthermore, the VAT applicable to the supply of goods portion of the construction contracts, varied from State to State and ranged from 1-15 per cent.Thus, the effective tax incidence for an average construction contract, under the previous regime, ranged from 11 to 18 per cent. With the rollout of GST, a higher rate of 18 per cent will be applicable to works contract. 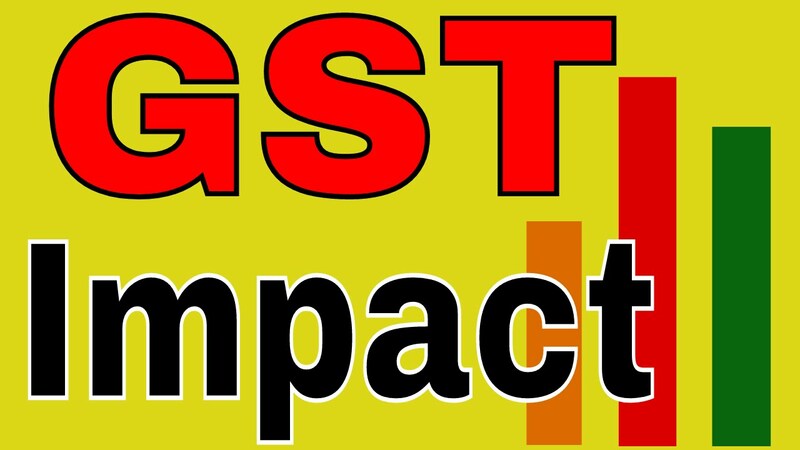 The constructive activities, which were previously exempted from service tax, may be negatively impacted with such a high GST rate of 18 per cent. 1. Schedule II, Central Goods and Services Act, 2017. While prima-facie, the GST rate for construction contracts is higher than the previous tax rate, the benefit of input tax paid and ITC on the raw-materials could set off the higher GST rate. However, GST rates could also result in higher costs, if there is limited scope for renegotiating construction contracts and contracts do not account for contingency factors. Cost of construction services will also be impacted due to credit restrictions provided under Section 17 (5) of the GST Act. According to the aforesaid section, “input tax credit shall not be available for works contract services, when supplied for construction of an immovable property, except where it is an input service for further supply of works contract service2“. Thus, we can see that this provision is confusing and contradictory. For example, a contractor will not get ITC if he constructs a building, but can avail the benefit of ITC on construction services availed from the sub-contractor. Furthermore, the aforesaid section also provides that ITC shall not be available on goods or services or both received by a taxable person for construction of an immovable property (other than plant or machinery)3. Thus, ITC would be available to a builder on goods or services received by him while constructing plant and machinery, but not so when constructing any other immovable property. We can see that implementation of the above-mentioned credit restrictions can have an adverse impact upon the infrastructure sector. However, this does not seem to be the intent of the lawmakers, as seen from the ‘Schedule of GST Rates’, which clearly provides that full ITC will be available for composite supply of works contracts, and full ITC with no refund of overflow of ITC will be available for construction of a complex, building, civil structure or a part thereof. Thus, we cannot say that higher GST rate on works contracts will be neutralized by ITC, until much explanation and clarity is sought with respect to the aforesaid credit restrictions. 2. Section 17 (5)(c), Central GST Act 2017. 3. Section 17 (5)(d), Central GST Act 2017. GST would make compliance easier by eliminating multiple indirect taxes. However, it would require contractors to register in multiple states owing to the requirement of registering at the place of supply of service. Contractors would also have to compulsorily register in a State where it supplies services but has no fixed place of business, owing to the concept of “casual taxable person”4. These provisions will increase the compliance costs for construction companies. Furthermore, companies will have to incur the costs of upgrading their IT systems, as input credit would be available only after an online reconciliation of tax invoices. The infrastructure sector depends on several factors such as electricity, logistics, cement, project management services, and consultancies to name a few. Changes in the tax rate of these sectors will have an impact on costs of construction. For example, a higher GST rate of 28% imposed upon cement would adversely impact construction cost. Similarly, electricity is not within the ambit of GST and input tax will be an additional burden for the infrastructure industry. Under Section 142 (10) of the GST Act it has been provided that “goods or services or both supplied on or after the appointed day in pursuance of a contract entered into prior to the appointed day shall be liable to tax under the provisions of this Act”. Thus, this transitional provision will impact on-going contracts as goods or services or supplied on or after the rollout of GST will be subject to the new tax rates. We cannot conclusively comment on the impact of higher GST rate on the infrastructure sector, as there is still ambiguity with respect to credit restrictions. GST will boost the sector by eliminating multiple taxes and simplifying the law, but it will also impact the cost of goods and services used in construction and increase compliance costs. It is still very early to make a judgment upon the new tax reform and we should wait till it concretizes. 4. Section 2 (20), Central GST Act, 2017. KRRISHAN SINGHANIA is the Managing Partner of Singhania& Co. and SRISHTI SINGHANIA is a graduate of National Law University, Delhi.